Discover the Pedagogical Institute in Santa Monica! “I love this!” exclaimed Gwen Dophna, a professor of Child Development, as we learned and played together last week. I was having fun too, learning Monoprint Techniques at the exciting new facility for early childhood educators called The Pedagogical Institute in Santa Monica, California. Have you heard about this place? It’s a true THINK TANK environment – and if you’re an early childhood professional, you owe it to yourself to check them out. Let me give you a taste of my experience…. 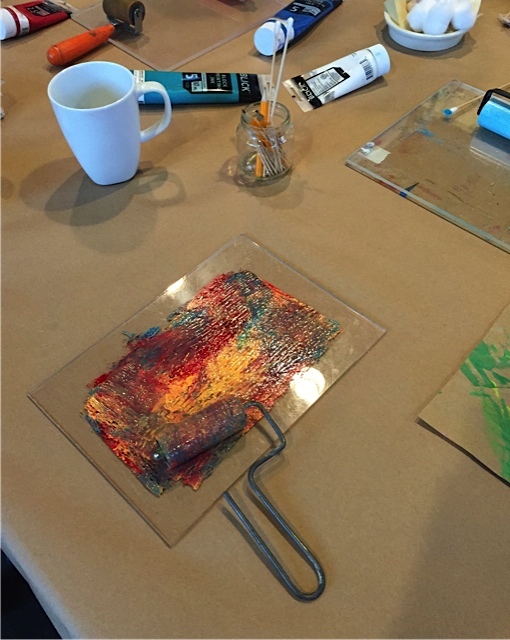 Last week’s Monoprint class was skillfully taught by Alexis Afaghi, a full time Atelerista at the nearby Evergreen School. We were a small but eager group of ECE professionals, learning open-ended art techniques and experiencing the unique combination of stimulation and camaraderie that is a part of every event or gathering at the Pedagogical Institute. 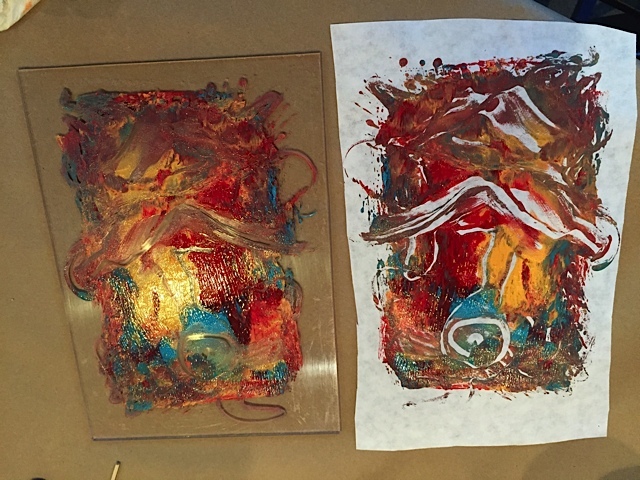 We rolled paint with brayers onto plastic printing plates, and then removed some of the paint with cotton balls, Q-Tips, and small makeup sponges to create lines and shapes in the wet paint. 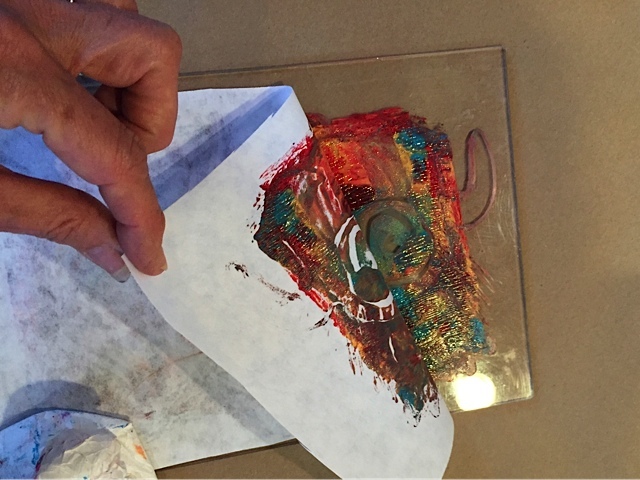 Then we pressed paper onto the top and pulled it off to reveal our MONOPRINT – a fresh and original work of art. Tah dah…..
Marsha seemed pleased with her artwork, which was gratifying since she had driven two hours to get to the Institute workshop! We traded stories about our careers in Child Development as we worked on our art, and I felt connected in a very satisfying way. It was truly an exercise in self-care to be there that evening. Teachers and directors and professors often work in isolation, and this place is a sanctuary to relieve stress. 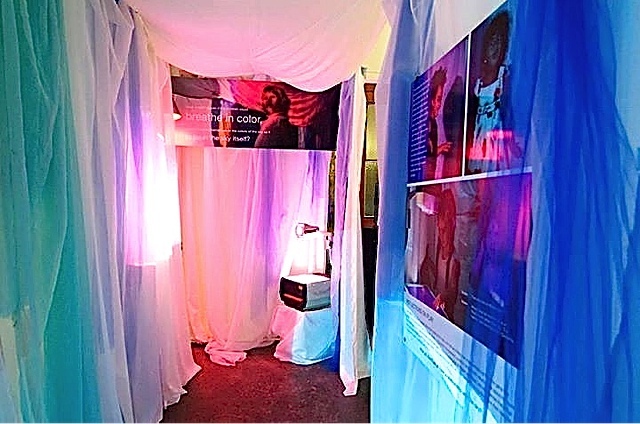 The Pedagogical Institute had its Grand Opening about a year ago, on Sept 21, 2014. Their calendar is full of exciting, thought provoking events. 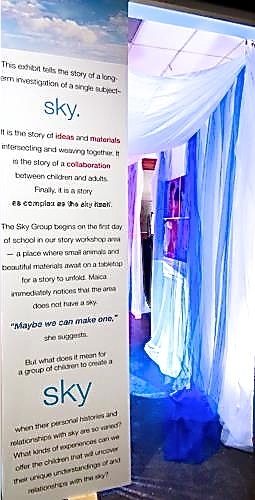 They offer many fascinating workshops besides art – as well as Book Study and Discussion Groups on topics such as Boys & The Media, Building Democratic Schools & Communities, and Talking about Death with Children. 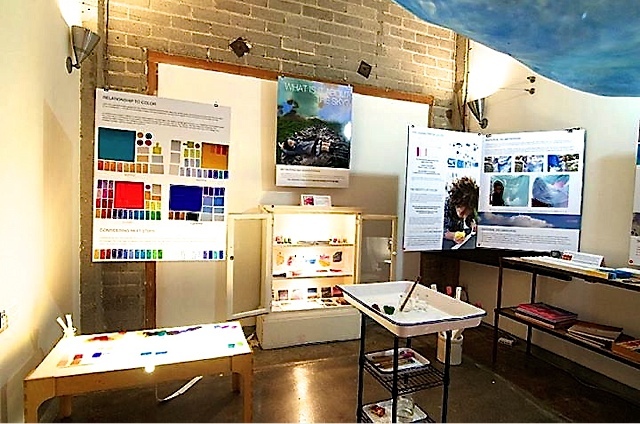 They also offer museum quality installations and Documentation labs, as well as mentoring opportunities, an annual conference, and renowned guest speakers. How can you NOT take advantage of this resource? It is in a class of it’s own. This entry was posted in Anna Reyner, art, arts and crafts, artwork, early childhood and tagged art, Discount School Supply by discountschoolsupply. Bookmark the permalink.